Plan now to attend the 10th annual Iowa Irish Fest, Aug. 5 – 7. 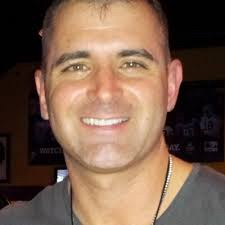 Gaelic Storm and Red Hot Chilli Pipers headline the fun-filled weekend of Irish culture, music, food and sports, including the ShamRock N Run 5k and Highland Games. In celebration of our 10th anniversary of Iowa Irish Fest, we have an amazing lineup of all-star acts and three days of activities catering to every age and taste. 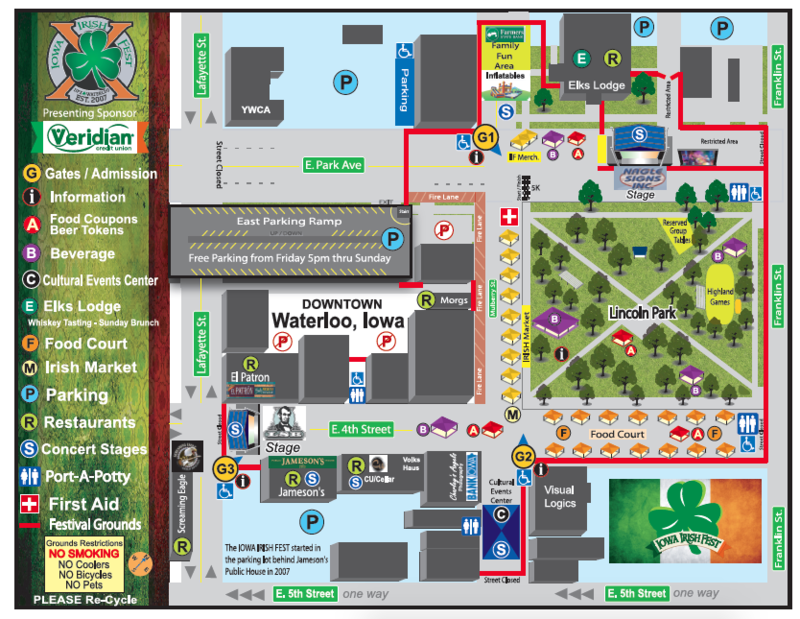 Get ready for a pint-drinking, kilt-shaking good time at the 10th annual Iowa Irish Fest, sponsored by Veridian Credit Union, Friday, Aug. 5, through Sunday, Aug. 7, at Lincoln Park and the surrounding streetscapes of downtown Waterloo. From international performers and Gaelic art to traditional Irish food and family fun, the 2016 Iowa Irish Fest has something for everyone. 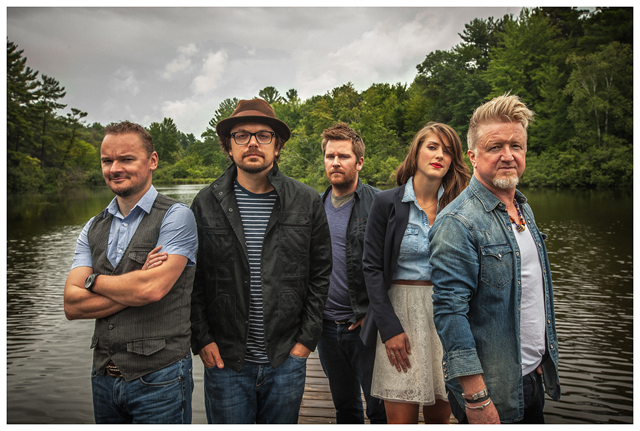 Iowa Irish Fest staple Gaelic Storm will be back, along with a crowd favorite, the Trinity Irish Dancers who will be offering dance workshops Aug. 1 – 4 for a chance to perform on the expanded cultural event stage Aug. 7. 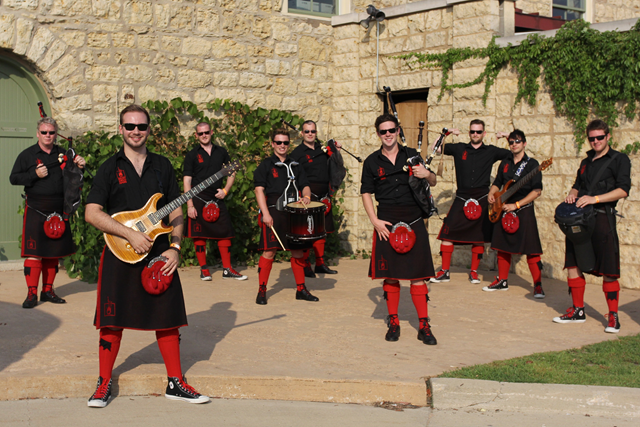 Red Hot Chilli Pipers are also returning as Friday’s headliner, with Gaelic Storm headlining Saturday and Sunday. Six downtown stages will host dozens of local, regional and international performers, cultural education seminars, kids’ contests and more. The Nagle Stage on Park Avenue will feature the headliner shows. Artists performing traditional Irish music and Celtic rock will be featured on the Lincoln Savings Bank Stage at E. Fourth and Lafayette Streets. A third music stage will be inside Jameson’s Public House on E. Fourth Street. The expanded Wells Fargo Cultural Events Center Stage will be relocated to a new shade-covered area at E. Fourth and Mulberry Streets and will feature traditional Irish dance, storytelling, music and workshops. The family area Life 101.9 stage will be relocated on Mulberry Street between Park and Third Streets, near the Elks Club which will be hosting a kids’ fire prevention and drug awareness trailer and Elroy the Elk in family fun area. Additional cultural activities and Irish whiskey tastings will occur inside the Elks Club. The annual Iowa Irish Fest is organized by the Cedar Valley Irish Cultural Association, an organization intended to foster and develop Irish fellowship and outreach into the community with Irish cultural events and programs. Admission is only $20 for all three days, and children 12 and under are admitted free. For more information, to purchase tickets, including special package options that come with drink and food tokens, or to volunteer, visit IowaIrishFest.com.